Roll over Beethoven - because the greatest tribute to Jeff Lynne's Electric Light Orchestra is here! 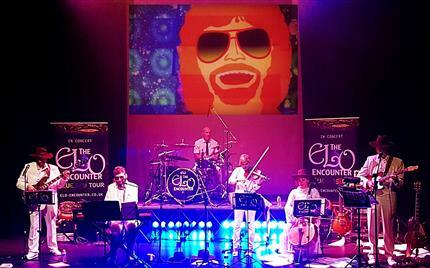 In an all live show featuring soaring strings, striking vocal harmonies and playing all the much loved songs from ELO's hit-filled library including Evil Woman, Telephone Line and Don't Bring Me Down. Not only flawlessly recreating the wonderful music of ELO - it's a spectacular live show from start to finish. Stunning lights and special effects create an atmosphere that will have you fully immersed in the whole experience. As the ELO Encounter reel off ELO classic hit after hit - it's guaranteed to have the hairs on the back of your neck dancing in time to the music!